Large software projects can produce hundreds of bug reports every day. Many of these reports contain incomplete, incorrect, or redundant information. 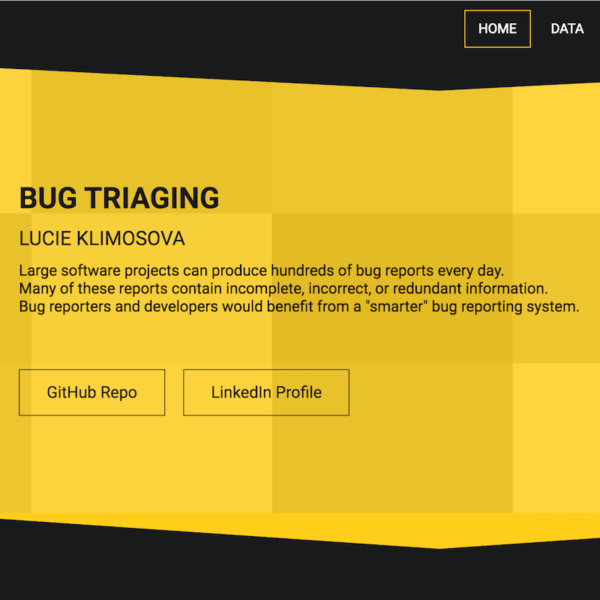 Bug reporters and developers would benefit from a “smarter” bug reporting system. Predict priority of newly reported bug. Predict severity of newly reported bug. Find most similar reported bugs to prevent creation of duplicates.